If your ex is neglecting to make their child support payments in a timely manner, or isn’t paying at all, it’s important that you take action as quickly as possible. There are some ways you can get assistance in enforcing the payments that are due to you. Here’s what to do when your ex isn’t meeting their child support obligations. The first step to getting the child support that is owed to you for the care of your children is to see a judge and request a judgement for the child support. Get a record of all payments that have been made and when they were actually due, so you can calculate the amount that is still left to pay. By presenting concrete evidence that your ex has been withholding child support payments from you, the chances that the judgment will be awarded increases. 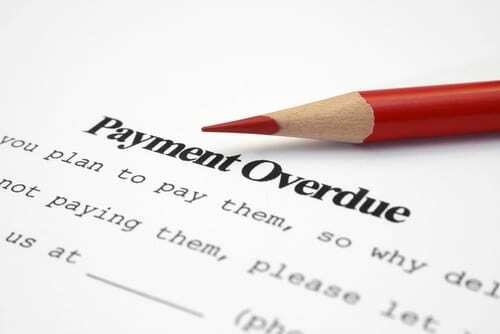 Once you have a judgment, there are many ways you can collect the payments that are due. If you have a judgment for child support, you may be able to have the amount that is owed deducted automatically from your ex’s paycheck. The payments will be made directly to you from their earnings, before they receive their income. If your ex does not have a job but receives tax refunds, the state of Texas may seize a portion of your ex’s tax refund in the amount of the child support that is owed. Much like wage garnishment, the money is remitted to you before they receive the remainder of their tax refund. In some cases, child support cannot be obtained through any of the above methods. If your ex doesn’t have a job or isn’t getting a tax refund, they may be penalized for the non-payment of support with jail time. How much jail time is issued depends greatly on the amount of child support that is owed. If your ex hasn’t met their child support obligations, you need the assistance of a skilled Texas child support attorney. Enforcing child support can be complex and time consuming, and an attorney can help you get the child support you need without placing the additional burden of enforcement on you. At the Bourlon Law Firm, we have the experience and skills to aggressively represent you, and will passionately advocate for your right to receive the child support that is owed to you. Contact us today for a consultation at (361) 289-6040.